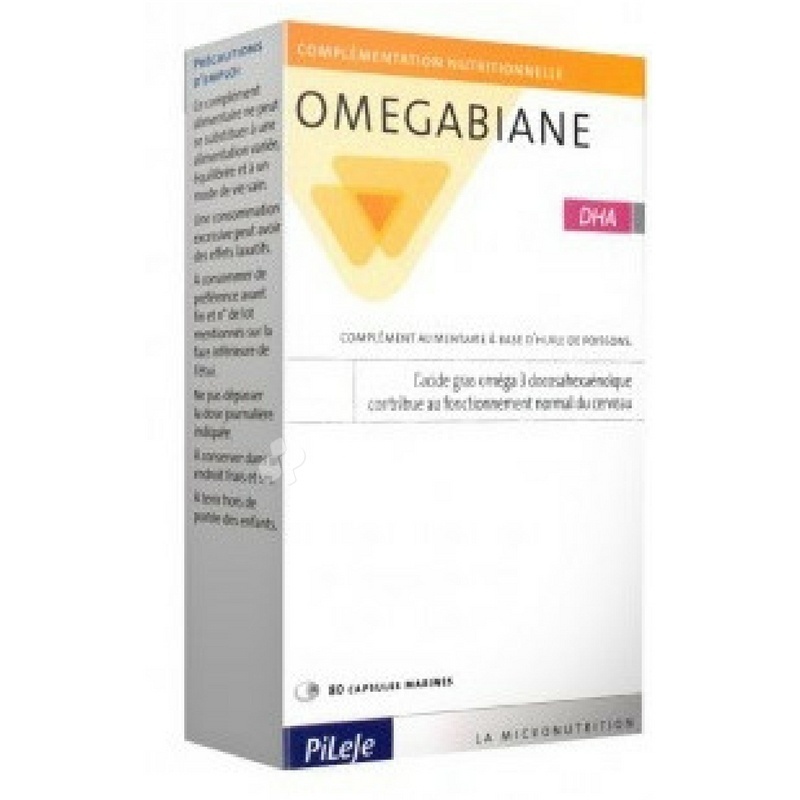 Pileje Omegabiane DHA Omegabiane DHA provides 250 mg of DHA omega-3 per capsule. The effective DHA dose is 250 mg/day. DHA omega-3 fatty acid supports normal brain function. The effective DHA dose is 250 mg/day. Omegabiane DHA provides 250 mg of DHA omega-3 per capsule. We consume 20 times more omega-6 than omega-3*; yet to maintain a healthy nutritional balance, ANSES** recommends a ratio of five omega-6 to one omega-3. Swallow 1 to 3 capsules per day. Duration of supplement: 26 to 80 days. Concentrated fish oil, capsule (fish gelatine, gelling agent: glycerol), antioxidant: rosemary extract Rosmarinus officinalis (leaves), Traces of soya.